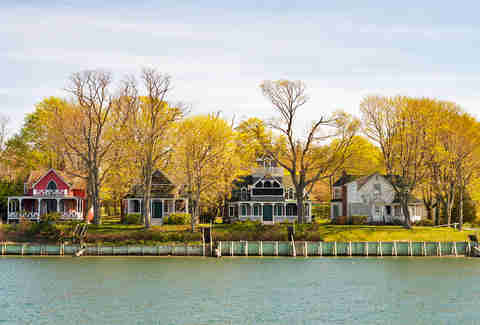 Just a short ride from the sweaty streets and suspicious subway smells of New York City lies a land of charming seaside communities, sandy beaches, and historic estates. And no, we’re not talking about the Hamptons. 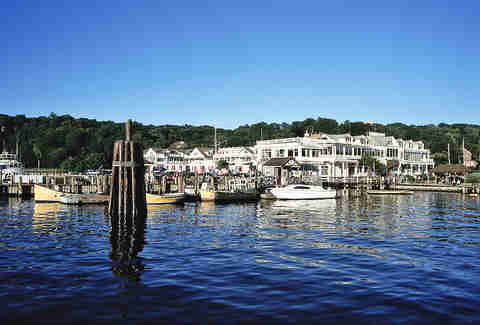 It’s true, sometimes the rest of Long Island gets overshadowed by the high-profile, high-cost East End. But the fact is there’s loads to see and do in the spaces in between. So next time you’re itching for a change of scenery (or just a little more elbow room), try one of these seven sweet spots instead. The bustling waterfront downtown, lovingly referred to by locals as “Down Port,” is awash with quaint storefronts and historic buildings... but let’s be real, you’re really here for the food and drink. Breakfast or brunch at the tiny coffee house Toast is definitely worth waiting in line for, and once you’ve carbo-loaded on their massive french toast, you’ll be ready to start drinking. On Main St., Brewology295 has some irresistible and imaginative pub grub, plus one of the best whisky selections on the Island. Their cocktails are no joke either; try The Maple Fashion for an autumn spin on an Old Fashioned. After an afternoon of perusing all the local shops on and off the main drag, dinner at Fifth Season is always a great idea. Sit on the porch and enjoy locally sourced cuisine from a menu that changes seasonally. There are many delicious reasons to drop by this cozy village on the South Shore: small plates at Barrique Kitchen and Wine Bar, gluten-free options at Horace & Sylvia’s, sushi at Kotobuki... the list goes on. But if you’re interested in catching your own dinner, you should book a fishing tour on the Captain Whittaker. The 65ft charter has a crew that can teach even the biggest landlubber to cast a line. If a smaller vessel is more your speed, you can rent a SUP board at South Shore Paddle Boards or even try to catch one of their floating yoga sessions on the bay. Participants balance on paddle boards while performing yoga poses, making the moves that much more challenging. 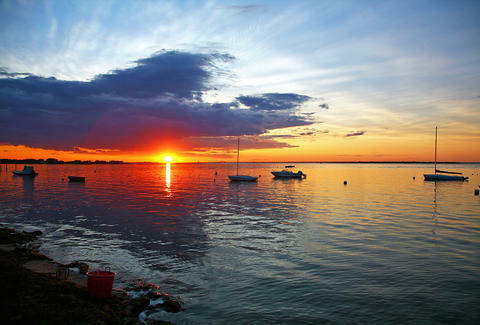 Long Island would be nothing without its rich nautical history, from the early oyster trade to the plight of the modern day bayman. This lesser known museum houses ocean treasures galore including historic small crafts, an exhibit on shipwrecks and an original bayman’s cottage from the 1800s. 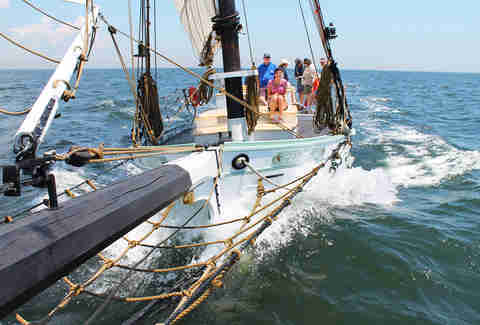 Outside in the harbor, you can purchase tickets for a cruise on the impressive 1888 oyster sloop Priscilla. This 60ft wooden ship with large, majestic sails is best experienced standing on deck, not on land. Carry your maritime adventures over into dinner at South Shore Dive, just a half mile away on Main St. Boasting some of the Island’s best eats, this gastro pub is known as much for its retro nautical decor as its legendary burgers. If you’re looking for a little outdoor adventure that’s not too strenuous, Caumsett’s got you covered. The trails here rank somewhere between mild hike and pleasant stroll, and the surroundings will definitely have you Snappin’ and 'Grammin’ some killer scenery. 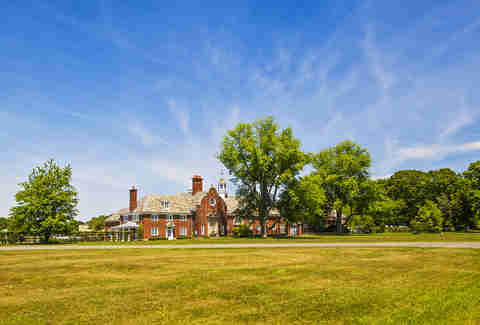 Follow the well-marked paths through this 1711 English-style estate, centered around the Henry Lloyd Manor House, and its various cottages, horse stables, and walled garden, toward the coast for the pebbled beach and stunning views of Long Island Sound. If you feel the need to up the exercise factor a tad, ride the bike trails instead. Sometimes your ears just need a break from blaring car horns and crowded streets. For a glimpse of what life was like on the undeveloped LI of yore, catch the ferry from Greenport on the North Shore and escape to Shelter Island, a bucolic wonderland of few cars and even fewer traffic lights (one, to be exact). Surrounded by 12 miles of shoreline, this relatively quiet hideaway offers plenty of opportunities to commune with nature. Start your day with a Paris-worthy pastry at Marie Eiffel Market and then get to galavanting outdoors. 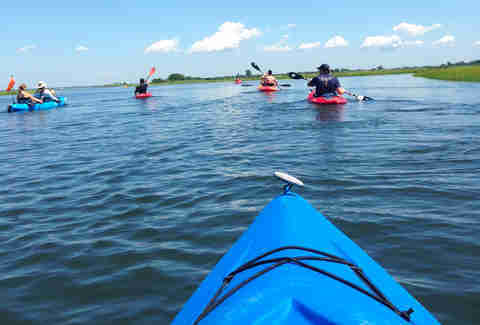 Rent a kayak to paddle down the Coecles Harbor Marine Water Trail or hike the 2,000 acres of Mashomack Nature Preserve. Reward yourself after a long day of exploring with a sunset dinner on the marina at SALT and a cocktail at their shipwreck bar made from a 1929 sailboat. 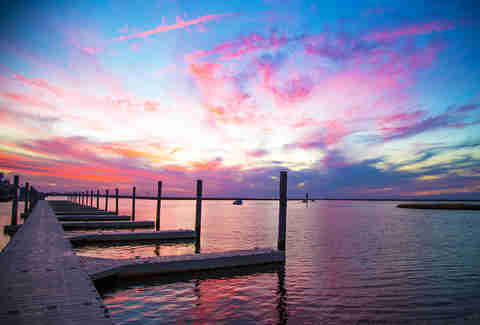 Sun, sea, and fresh seafood is one of the best combinations Long Island’s got to offer. And the tour at Blue Island Oyster Company on the Great South Bay gets you up close and personal with all three (well, if the sun decides to cooperate, that is). Chances are, if you’ve ever eaten oysters in Manhattan, you’ve tried Blue Island’s crop before (they supply practically every seafood restaurant), but you’ve never had them direct from the source. On the tour, you’ll paddle a kayak right up to where Blue Points are grown, harvest your own snack, and slurp them down after a personal shucking lesson. Afterward, a light lunch with local beer and wines allows you to unwind with your fellow shuckers. Kate Traverson is a freelance writer and editor living on Lawn Guyland. She spent so much time “escaping the city” over 7 years, she decided to do it permanently.